Description VOLKSWAGEN OF NEWTOWN SQUARE PRESENTS 2012 VOLVO S60 T5 IN SAVILE GRAY METALLIC WITH OFF-BLACK LEATHER INTERIOR FOR SALE!! THIS VEHICLE ONLY HAS 143,782 MILES!! GREAT SERVICE HISTORY ON THE CARFAX REPORT!! 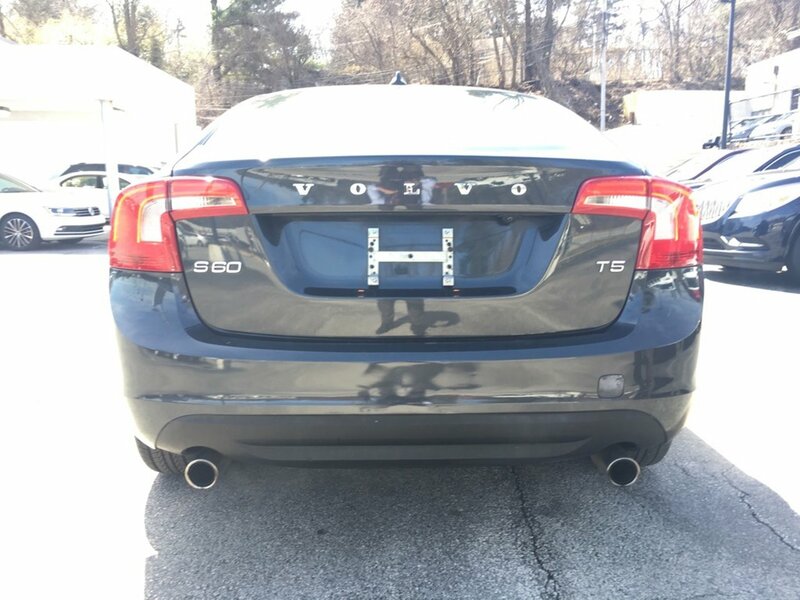 THIS VOLVO FEATURES **2.5L 5 CYLINDER TURBOCHARGED ENGINE, **6 SPD AUTOMATIC TRANSMISSION, **NAVIGATION SYSTEM, **REARVIEW CAMERA, **ALLOY WHEELS, **KEYLESS ENTRY, **POWER SUNROOF, **PREMIUM SOUND SYSTEM, **HEATED FRONT SEATS AND MUCH MORE. PLEASE CONTACT OUR PRE-OWNED SALES MANAGER KEVIN LEE TO CHECK ON THE AVALABILITY TODAY! !